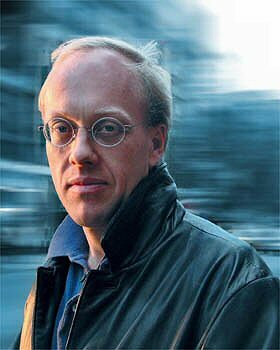 Journalist and author Chris Hedges will deliver the twenty-first James Luther Adams Forum on Religion and Society on February 18, 2017, at the Unitarian Universalist Congregation of Princeton, New Jersey, at 7:00 p.m.
Hedges, who studied social ethics with James Luther Adams at Harvard Divinity School, quotes Adams at length in American Fascists: The Christian Right and the War on America (2007). He is also the author of Way of Rebellion: The Moral Imperative of Revolt (2015) and other books. As a foreign correspondent for the New York Times, Hedges contributed research and writing which won for the newspaper a Pulitzer Prize for its coverage of global terrorism. He is a columnist for TruthDig and host of "On Contact" on RT America. Hedges was ordained by the Presbyterian Church (USA) in 2014 and serves as minister of social witness and prison ministry at Second Presbyterian Church in Elizabeth, New Jersey.